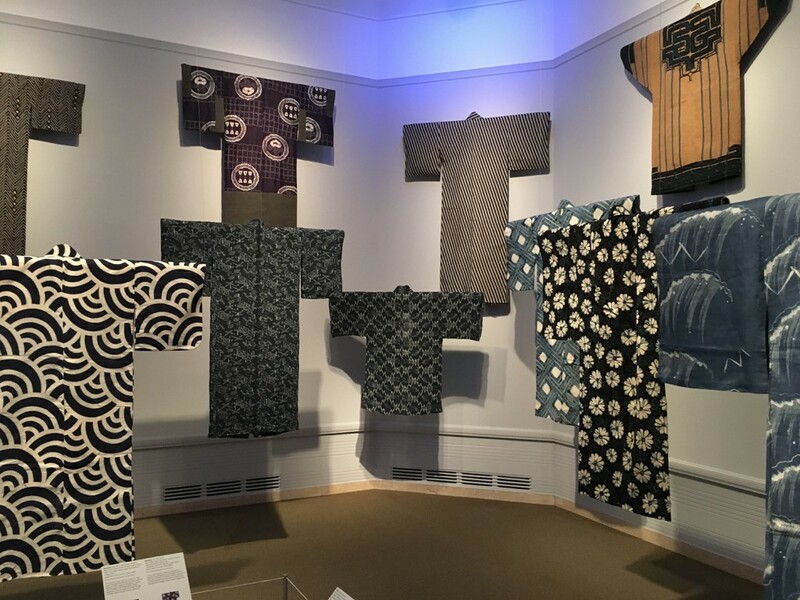 I spent part of the afternoon at the Seattle Asian Art Museum and I will be returning to spend much more time with the stunning exhibit “Mood Indigo: Textiles from Around the World“. 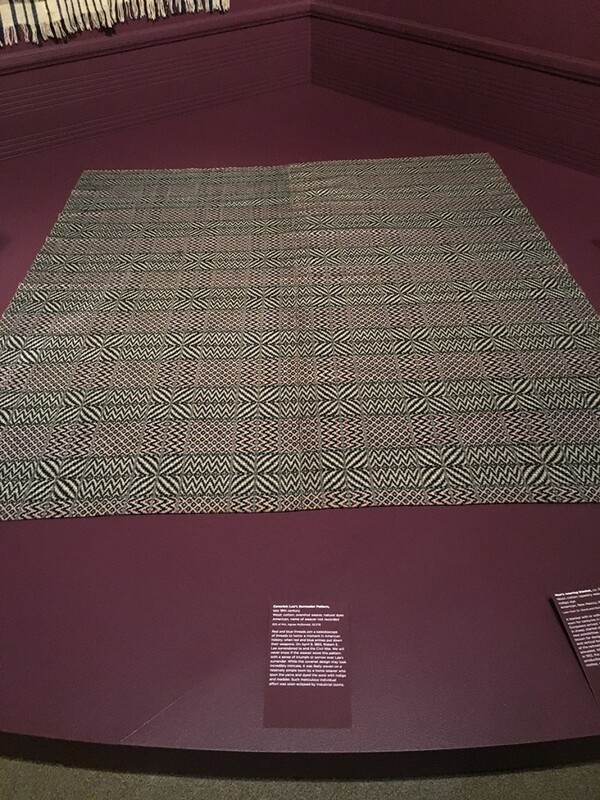 This exhibit has something for everyone to enjoy, including a room with 3 MASSIVE 17th century tapestries from Flanders, and associated items, including a 19th Century American overshot coverlet in the Lee’s Surrender pattern. 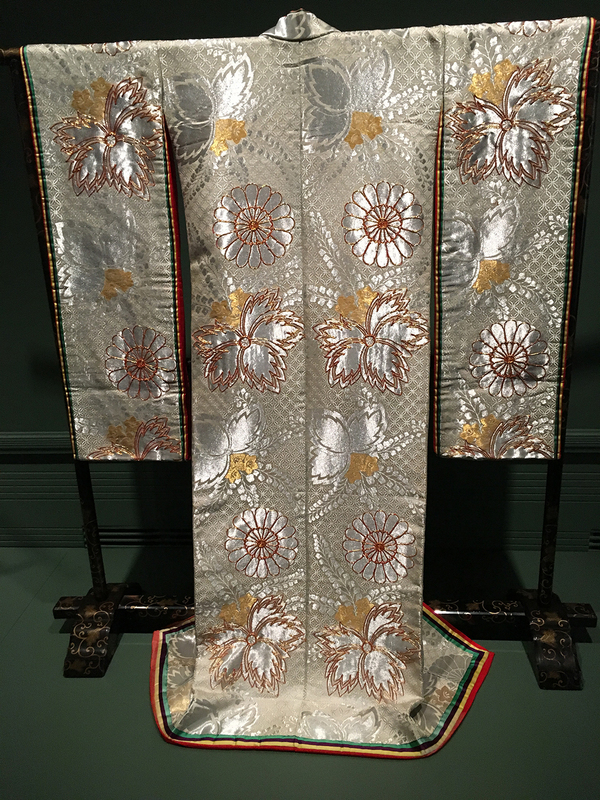 Other rooms in the exhibit are filled with 18th century kimonos, contemporary artworks, African and Southeast Asian and Indian and American traditional garments. I am sure I missed much. 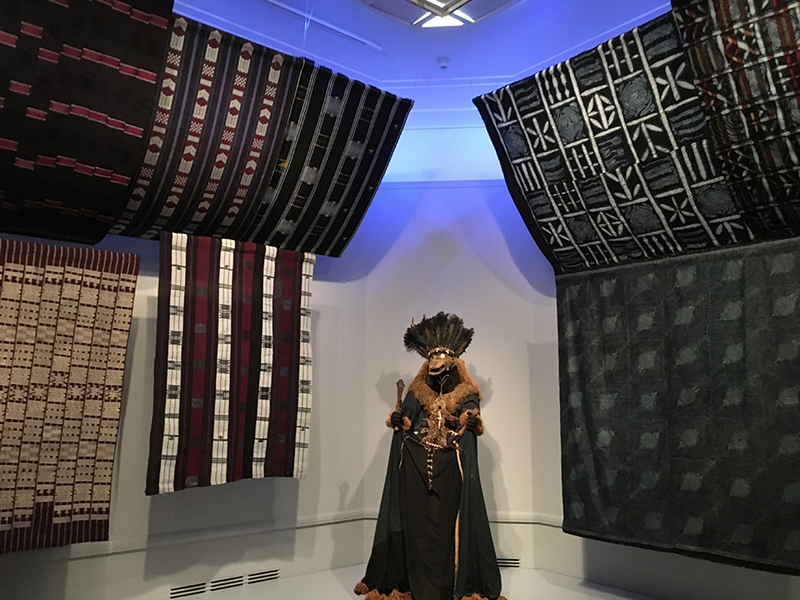 Really, there is so much in this show for anyone with an interest in textiles and history, I cannot recommend it highly enough. And there are two other exhibits currently on display which also deserve more than the cursory view, I gave to them! Mood Indigo will be on display through October. If you do go, I also recommend you plan a bit of time to enjoy the Conservatory and Volunteer park, where the museum is located. Flora Carlilie-Kovacs, felt designer and instructor, lives and works in West Seattle. She feels felt-making is the most versatile craft she knows. Her website at http://www.floranemez.eu/ shows off her wearable art, in the form of clothing, scarves and hats. Please have a look to see the beautiful pieces she has produced. Each season, her studio is part of the West Seattle Art Walk and she has shown her work around the world. Flora loves to share the tricks of the trade and will be doing so this month as she demonstrates how to block a felt hat. May 1,2016 is only a month away! 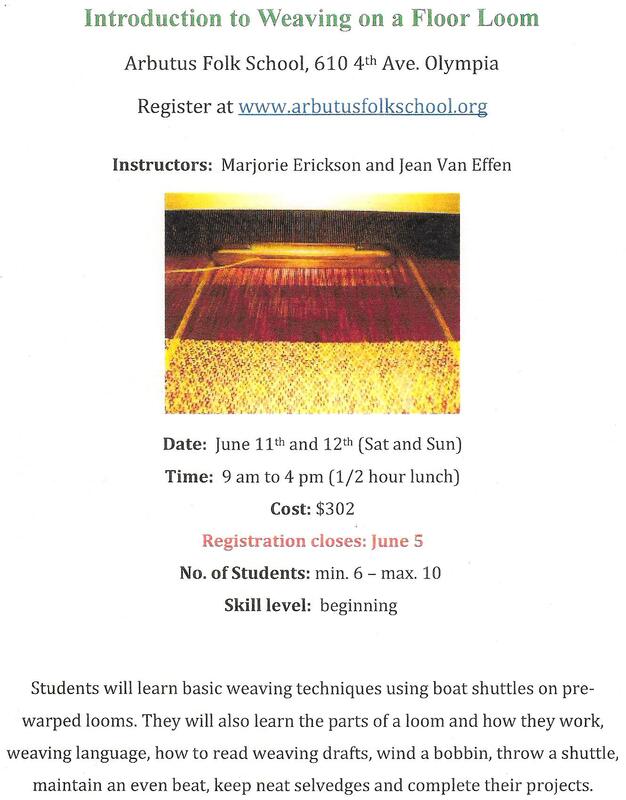 We hope you are all busy weaving away on your entries for Pacific Time Zone, a tapestry show sponsored by Tapestry Artists of Puget Sound (TAPS) for artists living in the Pacific Time Zone in Canada, the US and Mexico! The Corvallis Art Center in Corvallis Oregon will be the venue for this exhibit juried by University of Washington art professor Layne Goldsmith opening Aug.18,2016 and running until Sept.20,2016. The deadline for entry is May 1, 2016 and notification to artists is June 1. Follow the link to the TAPS website and entry form information http://tapestryartists.org/pacific-time-zone.